Welcome to the South American Room. South America has produced an astounding number of exquisite minerals from such places as Minas Gerais or the fabulous copper mines of Chile to the emeralds of Columbia and silver of Peru and on an on! 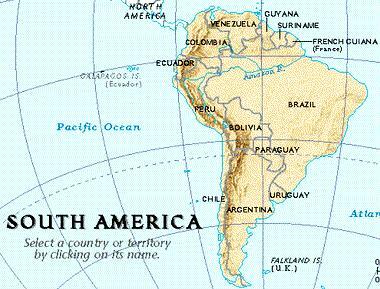 This continent holds continued promise for many new and fabulous mineral discoveries.